With technology evolving at a rapid rate, even a visit to the doctors office for certain checkups may soon be off the cards. Researchers have developed a way for a mobile phone app to record your blood pressure, potentially eliminating the need for regular readings by a GP. It’s welcome news for millions of people living with high or low blood pressure, with the technology making it easier than ever before to control blood pressure at healthy levels. Researchers from the United States developed a smartcase embedded with sensors that records your blood pressure and sends the results to a corresponding app on your smartphone. The team published their study in the Science Translational Medicine Journal. While many people live with hypertension, it can be managed with proper care and medication. At present, the easiest and most efficient way of measuring blood pressure is with an inflatable arm cuff that records pressure on the brachial artery. In most cases, people get tested at their local GP or hospital. The new phone technology, developed by Chandrasekhar, differs in the sense that people will be able to measure their blood pressure with their own fingertips and at any time that is convenient to them. “The user provides external pressure on an artery in the finger by pressing an optical sensor overlaying a force transducer on the back of a modified smartphone,” the research paper read. An app will also be used to make sure people maintain the right level of pressure when holding their finger on the smartcase for the reading. For anyone concerned about the accuracy, the researchers say results are very similar to those used in traditional ways. When people press their finger on their phone, the external pressure on the underlying artery increases. When this happens, the phone is measuring the applied pressure and the change in blood volume. The app then tells people the exact amount of pressure they need to apply to ensure accurate results. During a trial, around 90 per cent of participants were able to navigate the new technology after just two practices. 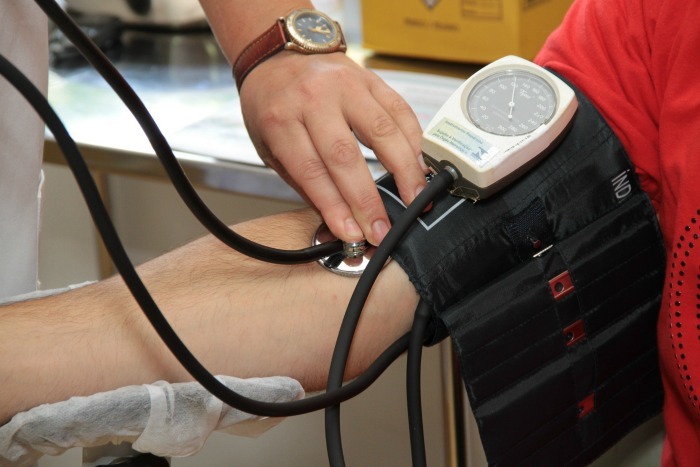 It is believed that some 972 million people around the world are currently living with high blood pressure, with that number expected to rise to 1.56 billion by 2025. More trials are continuing and it isn’t yet known when the smartcase and app will become available, but early tests look promising. What do you think? Is this a good idea? Would you use a mobile phone to record your blood pressure, or would you prefer to use traditional cuffs to measure it?